Hitting out at the BJP and the Congress for allegedly failing to meet the aspirations of the people, Telangana Rashtra Samithi president Chandrashekar Rao on Sunday said a federal front government must come to power after the Lok Sabha elections. 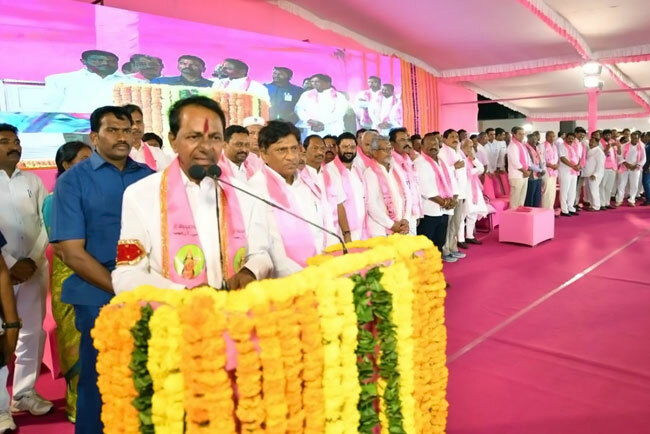 TRS Chief KCR said he would play a major role and start a national party, if necessary, to herald reforms and unite the country. “If this country is to improve, it has to move forward on par with other countries at an international level with its head held high. Only if the Congress, the Bharatiya Janata Party (BJP) are made to run away, alternative federal politics will come in this country. The writ of states should run,” he said, kicking off his party’s election campaign in Karimnagar. While Congress chief Rahul Gandhi alleges Prime Minister Narendra Modi is corrupt, Modi retorts by saying the Gandhis are out on bail, KCR said. The TRS is seeking 16 seats for itself and one seat for ally AIMIM of Asaduddin Owaisi to ensure that Telangana gets a “good” deal post-Lok Sabha elections. There are 17 Lok Sabha seats in Telangana. “Not just these 16 MPs, but by gathering 100 to 150 MPs, Telangana should influence the country’s politics,” he said. Giving an example, he said the country is blessed with 70,000 TMC (thousand million cubic feet) of water, however, there is still drinking and irrigation water shortage. He further claimed power plants were not being used effectively. He said all central funds received by the state were as per the Constitution. “Telangana is among the six-seven states that make the country run,” he added.